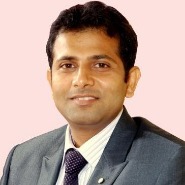 Raghu Vasu Adusumilli is an alumnus of PGP01 with majors in Finance and systems. A leading Entrepreneur and blogger ,Mr. Raghu Vasu has been the gold medal winner of his batch. Before Enrolling as a student of IIMK, he did his Bachelors in Computer Science Engineering from Koneru Lakshmaiah College of Engineering. He also holds a graduate and a post graduate degree in law from Osmania university. He is currently the head of TransDyne IT Services, a firm specialized in information systems for the healthcare industry, medical transcription and technical consulting. Apart from these achievements he has also been honored as an Honorary Fellow by The Gitam School of International Business, Gitam University, Visakhapatnam in 2010. Amitabh is an alumnus of the PGP 01 . 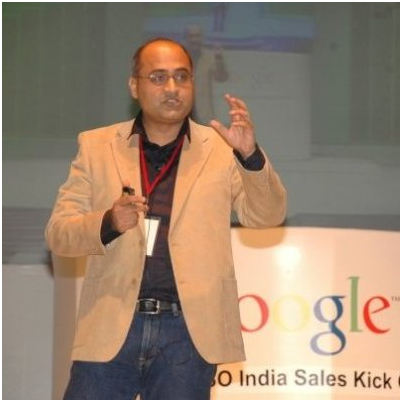 Amitabh Verma is currently the CEO/founder of AMP Digital, a Google partner company, focussed on helping professionals acquire and excel in Digital Marketing skills. Besides his management career he is also interested in social causes like education for children and poverty alleviation and has volunteerd as an advisor for Teach for India, a nationwide movement that aims to eliminate inequity in education in India. 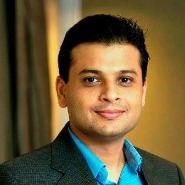 He has a post graduate degree in Economics from Delhi School of economics and Bachelors in Economics from Delhi university. . Amitabh has over 16 years of experience in sales, marketing, operations and customer service and has worked in financial service, education and technology companies firms like Google, ICICI Bank and Career Launcher before starting his own venture. 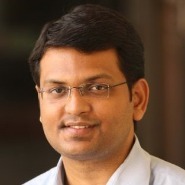 AnanyaTripathi – Batch of 2008, has joined the e-tailer Myntra as a Senior Vice President and will be heading Strategy and Planning with a focus on framing the company's business approach, planning and investments (organic and inorganic) amidst the changing landscape of the e-commerce industry. She has over a decade of experience in strategy, operations and technology. 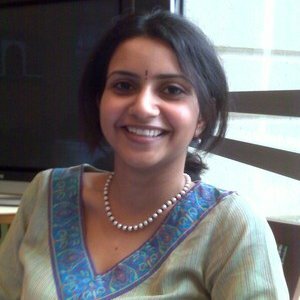 Prior to Myntra, she was an associate partner at McKinsey in Mumbai and a software engineer at TCS. She is a gold medallist in computer engineering and pursued finance and marketing at IIMK. 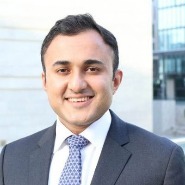 Rohan Talwar (IIMK Class of 2005, PGP 7) is designated as the Head of Equity Capital Markets at UBS Investment Bank, India. Rohan joined SBI Capital Markets from campus in 2005, moving to Kotak Investment Banking in 2008 and UBS Investment Bank in 2010. Rohan has been at the forefront of some of India's biggest IPOs during that period. Rajesh Kumar is an IIM-K graduate and he co-founded FACE - Focus Academy for Career Enhancement (India's largest higher education focused skill development enterprise) and ChalkStreet (An India focused learning market place that aspires to make learning a joyful way of life). His exceptional prowess at marketing and sales has helped him build a force of dedicated sales professionals which has enabled FACE, a bootstrapped company, to chase a 12Mn USD top line this FY. FACE has partnered with over 800 educational institutes and organizations and trained over 10,00,000 students and professionals in a span of 6 years since inception. His ability to connect with customers and users alike, understand their needs and translate it to workable technology enabled solutions has contributed substantially to setting ChalkStreet on an exponential growth trajectory. With over 10 years of experience into multiple areas viz Education, Training, Project management, and Business Consulting, he aims to connect with like minded individuals. His goal is to develop skill sets of the employable youth of India by providing them access to education - soft and technical based. After having created two successful ventures into education(www.genesismentors) and (www.6piconsultants.com) and making a successful exit from one of it, he is now onto his third and dream project. 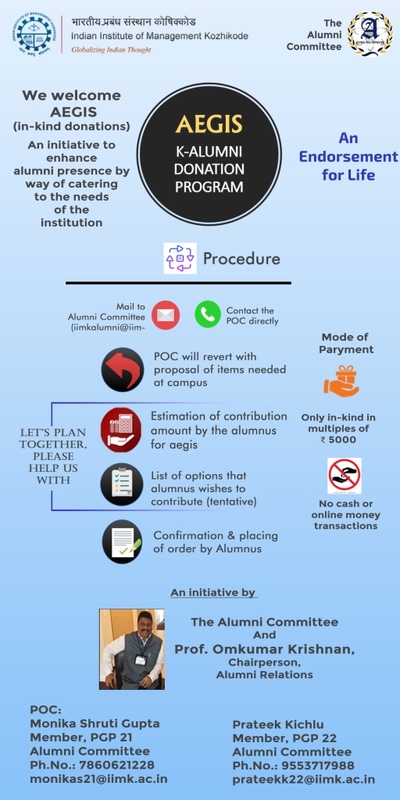 www.dreamwallets.com is a crowd-funding platform that they have created to truly democratize the fund-raising and getting the early adapters for the product. They hope to create an ecosystem of truly remarkable stories for India in the next 18 months. Manish is a gifted instructor ,mentor and a person who is being admired by many.He has many years of experience and he knows a variety of creative teaching methodology which is very effective and efficient, His positive attitude ,calm personality and always encouraging mood boosts confidence of people in the surroundings. 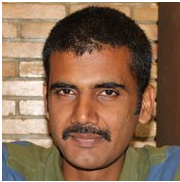 Vinod Sankaranarayanan belongs to the second batch of IIMK. He joined Mindtree from campus and spent more than 11 years at Mindtree. He started off as a Business Analyst, and then moved on to Project Management and Delivery Management and finally handling two of the largest accounts within MindTree's Travel and Hospitality space. Vinod was one of the founding members of the Business Analysts Council and the Agile Council at Mindtree. He then joined ThoughtWorks and was responsible for the Travel and Hospitality Practice at ThoughtWorks. 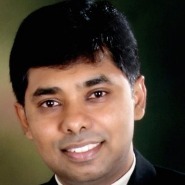 Currently he works as a Program Manager and consults to organizations on Agile and Lean adoption. He is currently authoring a book on Ownership Transfer. He has published in the Economic Times and Times of India. He is an avid blogger. He is also an active contributor to the local community and has picked up statutory roles within apartment associations. Ronald(Batch of 2005) is an infrastructure professional with experience in the transport, real estate, telecom and energy sectors in both developed and emerging economies. At McKinsey, Ronald serves CXO / Minister level clients in the emerging markets, on topics related to strategy, corporate finance and capital productivity, predominantly in the infrastructure, real estate and transport sectors. He has a prior experience in business development, project management, stakeholder management and operations at World Economic Forum (New York), PricewaterhouseCoopers, GE Capital and World Bank (all India). Educated at Harvard University and the Indian Institute of Management (IIM) with finance coursework at HBS and MIT Sloan and executive education at Insead (Fountainebleu), Wharton and CEIBS (Beijing). Grew up in Zambia, England & India. Worked in the US, China, India, UAE, Saudi Arabia, Qatar, Bahrain & Bangladesh. Ronald builds great rapport with everyone - from ministers and CEOs to temporary service staff. As he can also get straight to the heart of an issue, this means he gets things done - notably in project management and business development. 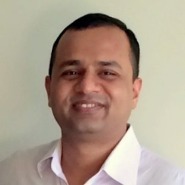 Prashant Dinodia -Class of 2005, PGP 7 has moved to New York as Director, Risk Advisory at SunGard Financial Services.He heads the risk advisory and risk solution presales teams for SunGard covering South Asia, ASEAN and ANZ.As a risk management expert,he is regularly involved in assignments which require domain expertise. He is a regular speaker at SunGard.He has conducted various leadership and knowledge based seminars in the region and has authored several white papers. The thing that strikes about Prashant is his knowledge and ability to keep it current to the context. He is a relentless professional whose attention to detail, domain expertise and flexibility have rendered many wins for the organisation on numerous occasions. He is a complete risk professional who can advise customers as he is able to draw on his sound understanding of the domain and experience of having worked both with risk implementations and on the banking side. He has 15 + years of experience in Investment Banking and in building exciting high-growth businesses & companies. Extensive Deal Making & Capital Raising experience globally across sectors is his highlight. Abhishek has had an illustrious career since graduating from IIMK, with leadershp roles at Yes Bank and Elara Capital. 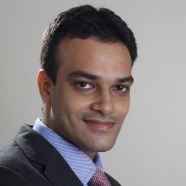 Suveer is a partner in McKinsey’s Mumbai office the world's most prestigious strategy consulting firm. He is one of the core leaders in McKinsey's infrastructure practice in India and has served several Engineering & Construction (E&C) and Real Estate clients in strategy and business transformation. In the infrastructure sector, he has worked primarily in India and Middle East, where he has advised clients on growth strategy, internationalization and driving sustainable bottom line improvements. Gaurav Sharma (Class of 2007, PGP 09), who has co-authored 'Diamonds and Rust', a coffee table book on RD Burman, along with Brahmanand S Singh (award-winning filmmaker (producer-director) and writer based out of Mumbai) which was released recently on June 23, 2015. 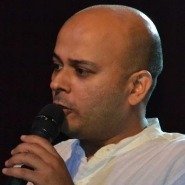 Gaurav had earlier worked on Pancham Unmixed: Mujhe Chalte Jaana Hai (an unending journey), 2 national award-winning (2009) feature-length documentary on R D Burman. Ambitious and enterprising professional with PGDM from IIM Kozhikode with major in Finance and B. Tech. in Electronics and Communication Engineering from IIT Guwahati offering an experience of Corporate Finance, Investment Banking and Investment Management. 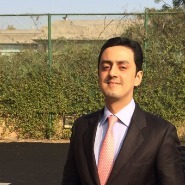 Having spent last six years in the Indian Investment Banking industry,he has worked extensively on 50+ Capital Raising and M&A transactions across the Business and Consumer Services, Technology, Life Sciences, Telecom, Engineering and Manufacturing, Real Estate, Energy, Bottom of Pyramid and Media sectors. With an established track record of concluding several marquee M&A and Capital Raising transactions with emerging and large Indian corporate,he has crafted, led and closed over 11 transactions worth 2 billion. He started his Investment Banking career with Goldman Sachs where he was involved in sell-side M&A advisory to BEA Systems for its $ 8.5 billion acquisition by Oracle. He has played multiple advisory roles including that of M&A banker and capital raising adviser at MAPE Advisory Group, Allegro Advisors and Grameen Capital - leading Indian boutique investment banks. He was with Brand Capital (Bennett, Coleman & Co. Ltd.), where he managed portfolio of listed and unlisted equity investments across sectors and Exits from these investments. He is the co-founder and Managing Partner of DIA Capital Advisors in Bengaluru which is quoted in Business Standard providing an expert take on the opportunity for start-ups in the global market for speech recognition. Graduated from Indian Institute of Management,Kozhikode he started The RainMaker Group (http://therainmaker.in/), a specialist advisory firm for blue-chip, venture-backed, technology driven businesses for M&A, fund raising, strategic planning and transaction services. RainMaker works with hand-picked clients to assist them through their life cycle with an approach that marries the best of a top-flight investment bank and a committed corporate development team. 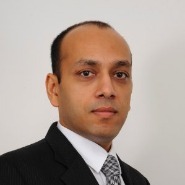 Kashyap was earlier an Executive Director - Investment Banking with Elara Capital.